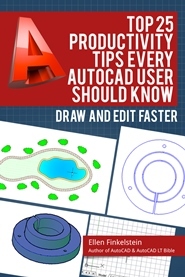 This 50+ page e-book will make your drawing and editing go more smoothly and quickly. 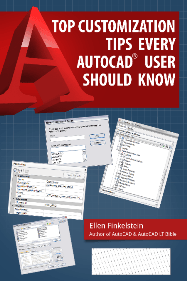 Learn from AutoCAD expert Ellen Finkelstein, with the help of submitted tips from many others around the world. 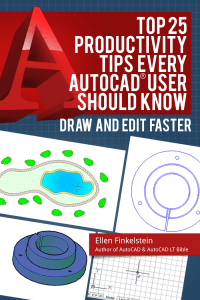 Buy this 60+ page e-book to learn ways to be more productive and become a master at customizing AutoCAD! 5 chapters with step-by-step instructions and screenshots so that you can easily follow along. 2nd edition! 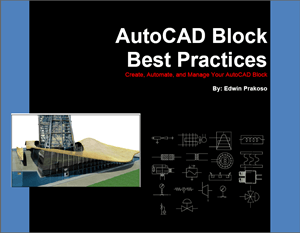 Learn all about blocks in this thorough 121-page e-book, including the basics, dynamic blocks, attributes, annotative blocks, extracting data, and more! Includes drawings for numerous exercises. 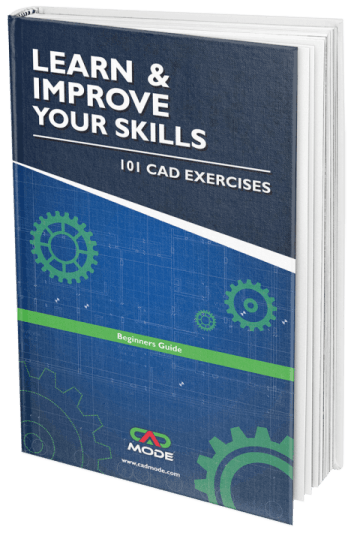 These CAD exercises will help you become proficient with CAD, teach you how to read and comprehend real-world schematics and drafts. It will also increase your ability to solve difficult CAD problems. 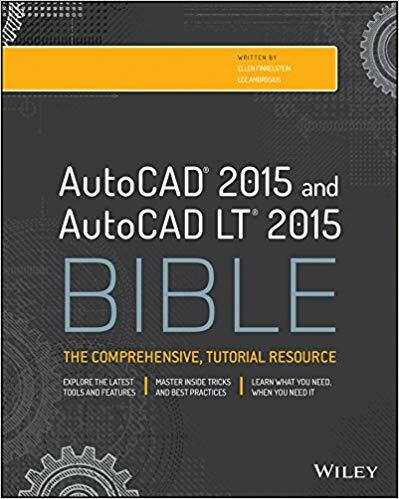 This ebook is compatible with all 3D CAD software.